One of my first geraniums, from Peter Chappell’s nursery, Spinners, in the mid-1980’s. 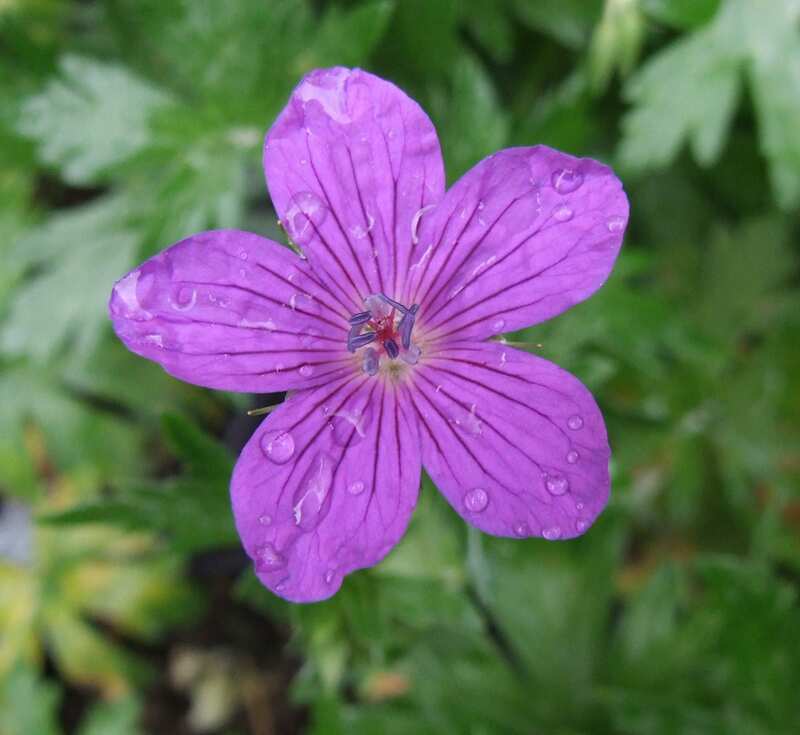 Propagated from that original plant, this Geranium pratense hybrid is a good doer. The leaves are mounded and deeply cut and the flowers are a rich purple-blue. It grows well in beds or borders when given the space. Pest and disease resistant, easy to grow and ultra hardy. Tolerant of most soil types. Cut back hard in August and it will throw more flowers in the autumn. Propagate by division in March-April. Split every four-five years to maintain vigour. Cut back to the ground in spring.